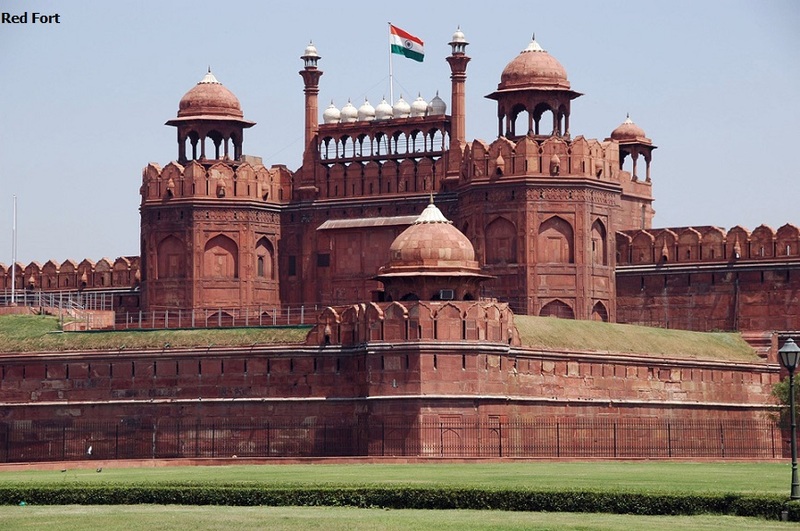 Home to Mughal Emperors for nearly 200 years, the Red Fort or Lal Kila was converted to barracks for the British colonial army. The iconic landmark recognized by its red sandstone architecture has a rich set of stories dating back to India's pre-independence era. This massive time-tested fortress today is the backdrop for large scale national events such as the Republic Day and Independence Day. India's largest mosque, Jama Masijd a sight to behold is definitely among the places to visit in Delhi. The magnum opus mosque constructed by Mughal ruler Shah Jahan stands tall at 40 ft with 4 angles, 2 minarets and can contain 25,000 devotees. 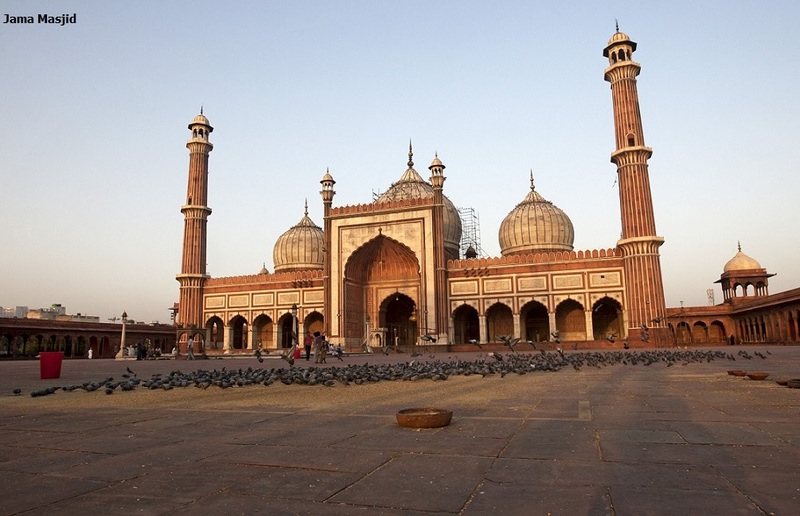 The mosque's eye catching exterior made of red sandstone strips and marble is incredible. Marvel the view from the Southern minaret as one gets to see New Delhi's landmark buildings – the Jama Masjid, Connaught Place and Sansad Bhavan (Parliament House) in a direct line. The famous Humayun's Tomb of Delhi is the first garden tomb in India. A complex commissioned in 1562 CE by Hamida Banu Begum Humayun's wife and designed by Mirak Mirza a Persian architect this monument is one of the first specimens of Mughal architecture in the Indian subcontinent. Located on the banks of the River Yamuna this structure was declared a UNESCO Heritage site in 1993. The famous Humayun's Tomb of Delhi is considered to be the precursor of the 'Taj Mahal as far as the architectural structure is concerned. It represents the Mughal style of architecture at its best. One of the major attractions in the city this mausoleum serves as the burial ground of several Mughals apart from the emperor himself. This red and white building is an example of Persian influence on Indian architecture. Humayun was the first to be buried in the Tomb when he died in 1556 but the tomb has now within it over 100 graves, earning the name, 'Dormitory of The Mughals'. Steep steps lead up the Sanctum of the tomb. The Central chamber looks quite plain now but it was remarkably decorated in the past. William Finch an English Merchant who visited it in 1611 unforgettably describes the presence of expensive carpets, and other rich items including Humayun's sword, turban and shoes. The 13 acres land surrounding the tomb became difficult to maintain when the Mughals shifted the capital to Agra. Things good worst when the British captured Bahadur Shah II in 1857. They replaced the original garden with British like garden. Now, the Archaeological Survey of India has tried to restore it to the glorious past. The gardens surroundings are lush and lively at this time of the year. The vast open spaces and cool shades surrounding the tomb are a treat for city dwellers. Rising 42 mts high in one end of Rajpat stands the India Gate – a symbol of pride and bravery. This outstanding stone archway instantly ignites a feeling of patriotism and thus is a major tourist place in Delhi. Also known by the name of All India War Memorial, this prestigious monument is a mark of respect to all those unknown soldiers who have sacrificed their lives protecting an entire nation. 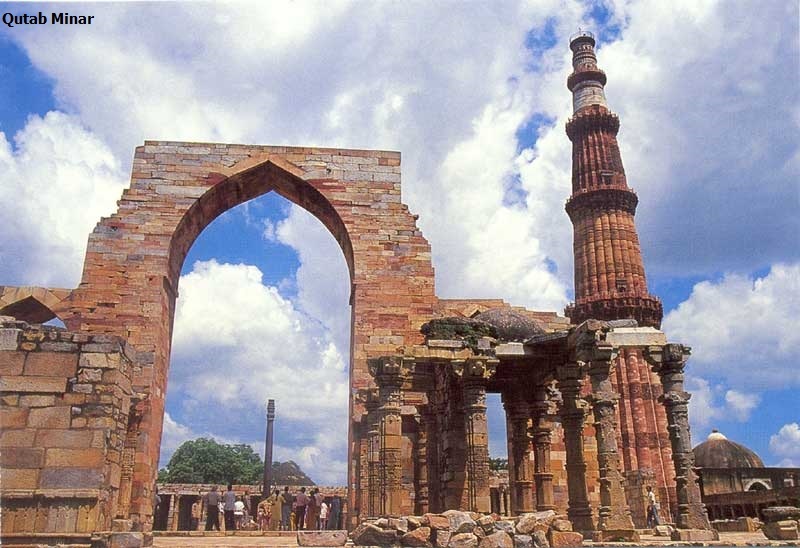 Qutub Minar, a soaring 73 m high tower of victory built in 1193 is one of the finest monuments in the world. 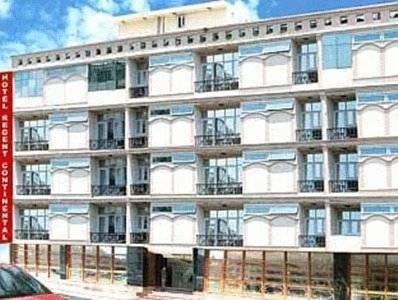 An architecture reminiscent of the distinct styles from the Tughlak and Aibak dynasties that ruled Delhi stands sculptured with red sandstone in the first three storeys while the fourth and fifth are made of marble and sandstone. Visit Quwwat-ul-Islam Mosque and make your wishes come true by circling your hands around a 7m high iron pillar enclosed within it. 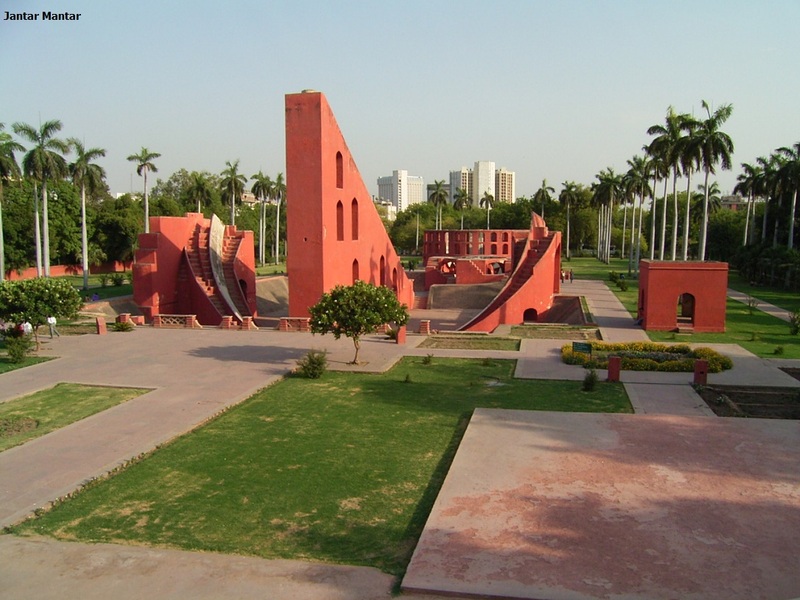 Among most popular places to visit in Delhi is the Jantar Mantar, an ancient observatory built by Maharaja Jaisingh of Udaipur in 1794 on the main Parliament Street at Connaught Place. The instruments at Jantar Mantar are undoubtedly fascinating for their ingenuity however the high-rise buildings around have obstructed accurate observations. A symbol of power wherein lies the office of India’s decision makers, Parliament House or Rashtrapati Bhavan is one of the major tourist attractions in Delhi. 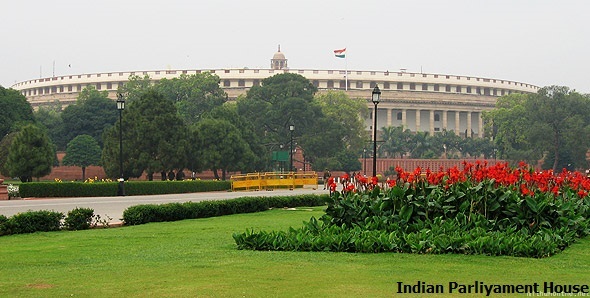 Conceived in the Imperial Style, the Parliament House consists of an open verandah with 144 columns. 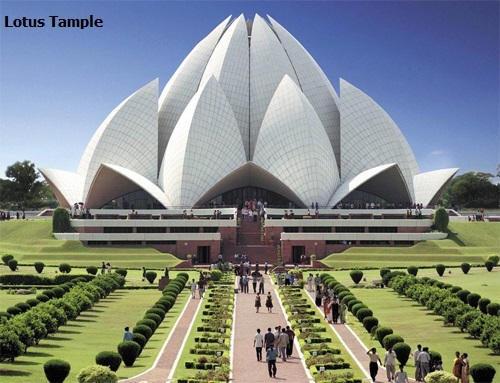 The ever-popular lotus-shaped Bahai Temple in Delhi is the last of the seven major Bahai temples around the world. A mesmerizing structure made of pure white marble, standing against a lush green landscape, the lotus depicts a symbol common to all religions. Hence the doors of the temple remain wide open for adherents of any faith to pray and meditate. Around the blooming petals lie nine pools of water, which illuminate in natural light. Heralded by the Guinness World Record as the World’s Largest Comprehensive Hindu Temple, Swaminarayan Akshardham in New Delhi is an epitome of Indian culture. 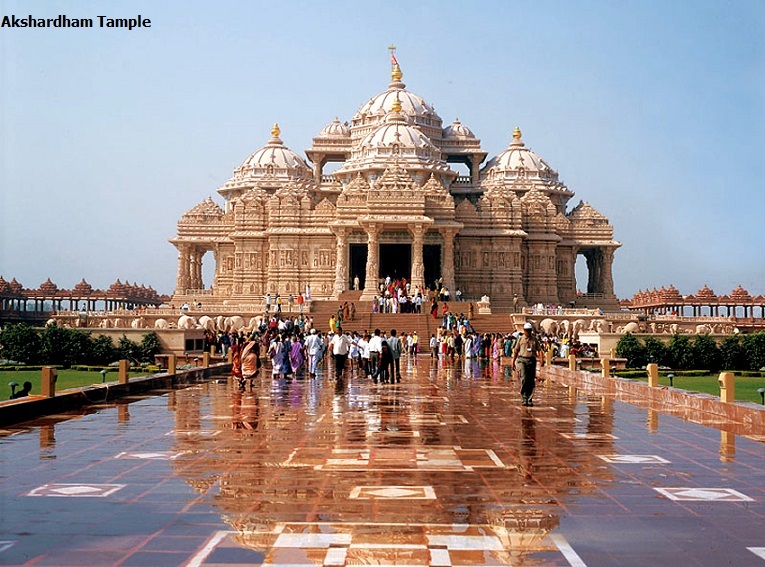 Akshardham is nothing short of an unforgettable experience taking every visitor close to the breathtaking beauty and grandeur of India’s ancient art, architecture, and eternal spiritual teachings. Various exhibitions on display take visitors through multiple journeys such as the Hall of Values, giant screen film on Discover India, and Cultural Boat Ride. Other attractions include the Circle of Life Musical Fountain (after sunset), Gardens of India, and Lotus Garden. Purana Qila is one of the oldest forts in India. An admirable quality of this monument is that those not fascinated by history can also enjoy the place because of its sprawling spaces and well-maintained landscape. Standing stoic amidst lush greenery, the Purana Qila spreading over 2km is supposed to have been built on the site of ancient city of Indraprastha. Surrounded by a moat through which once the Yamuna meandered, has made way for a man-made lake offering boat rides. Inside the premise are other interesting monuments like the Sher Mandal (an observatory), Qila-i-Kuhna Mosque, and Baoli (a 22m well). The fort is also famous because Humanyun, the Mughal Emperor died falling from the second floor, while he was hurrying for evening prayers. Lodi Gardens is a 90 acre green space in the home of Delhi’s oldest dynasty, the Lodhi. This green carpet flows seamlessly through several monuments like the Bada Gumbad, Bada Gumbad Mosque, Sheesh Gumbad, Sikandar Tomb and Mohammed Shah Tomb that are brilliant reminiscents of an era gone by. One of the nicest spots on campus here is the lake, which is an ideal spot for you to end your visit. This garden goes beyond being just a park for leisurely strolls spread over 20 acres in the heartland of Delhi city. 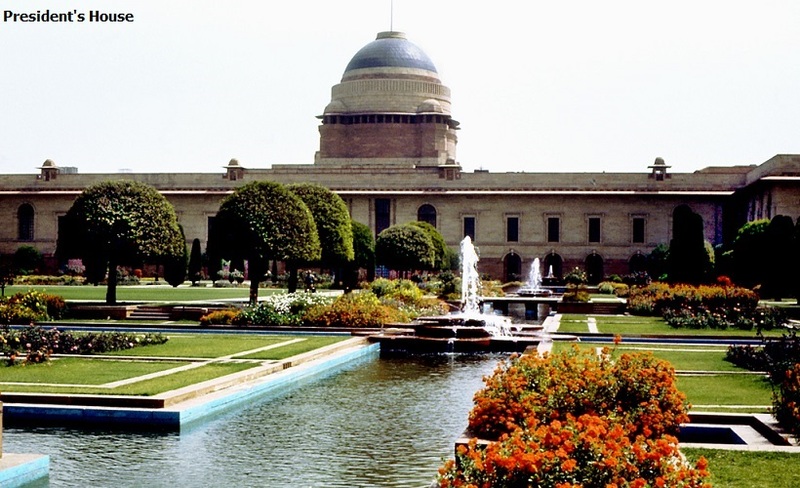 The garden is adorned by metal cut birds, stone cut elephants, peppered seating arrangements, food courts, and distinctly styled garden spaces such as Khas Bagh and Neel Bagh, a pool of water lilies. Perhaps the most striking feature of this exquisite garden is its beautiful composition of flowering beds, water bodies, and art arrangements, which makes it a place worth relaxing in. Being the capital city of India Delhi is very well connected to the rest of the world by Air and rest of the country by Road, Air and Rail. By Air You can find flights from Indira Gandhi International Airport to all the important cities of the world. By Rail Delhi's Rail connectivity is also awesome with rest of the country. Mainly there are 3 major railway stations in Delhi, Old Delhi and New Delhi Railway stations connect Delhi to East and North India and Hajrat Nizamuddin Railway station connects Delhi to South India. By Bus Buses are also available from Delhi to all the major cities of North India from Srai Kalekhan, Anand Vihar and Kashmiri gate Inter State Bus terminuses .